INDIANAPOLIS – Indy Eleven announced on Tuesday it had signed former New York Cosmos players Ayoze Garcia Perez and Eugene Starikov for the 2018 USL season, pending league and federation approval. Puerto de la Cruz-native Ayoze was a staple in the Cosmos’ defensive lineup over the past five seasons. During his tenure, Ayoze appeared in 119 regular season matches and logged more than 10,000 minutes of action. 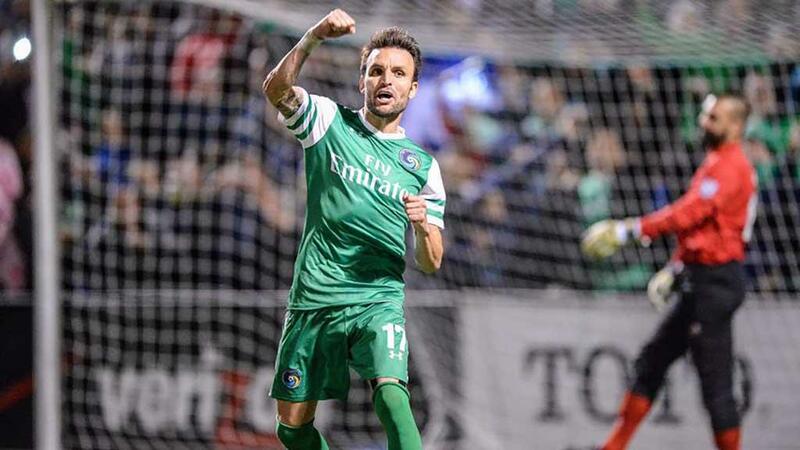 Additionally, Ayoze scored a total of eight goals and had 14 assists during his Cosmos career, earning nomination for the league’s Most Valuable Player award and being named to the Best XI in the 2016 season. Ukrainian forward Starikov returned to the United States last season with the Cosmos after a playing overseas in both the Russian and Ukrainian Premier Leagues. In 2017, Starikov appeared in 25 of the Cosmos’ 32 games, tallying a total of four goals and one assist in the regular season.